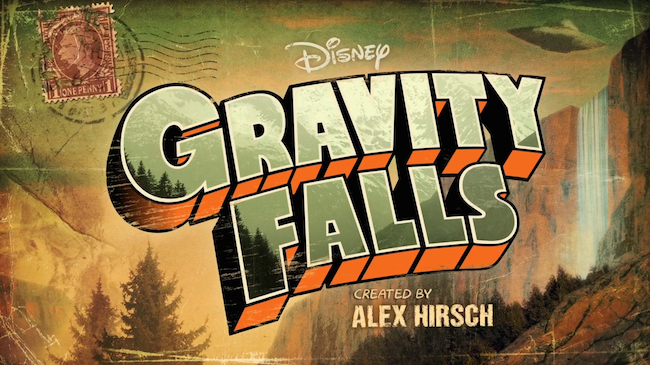 Gravity Falls is this show that's going around at the moment. It's the sort of show that is very definitely my cup of tea. 'Meine Straße', to quote a friend. I'm not above watching children's television programming. I've never said or implied otherwise. Maybe I have. I don't know. I'm not though. I don't think anyone is. People say that they are, but they're dumb. It's a dumb thing to say. 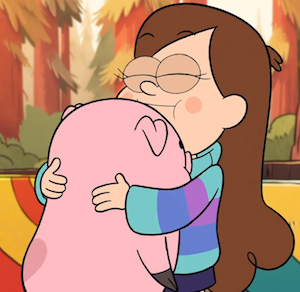 Gravity Falls is not dumb. I like it. It's funny, and more than a little morally obtuse. It's about these twins (Mabel and Dipper) who are spending the summer (which apparently lasts multiple seasons) with their great uncle (gruncle) who owns and operates a tourist trap in Gravity Falls, Oregon. He gets a mysterious journal. She gets a pig. Paranormal adventures ensure. I could go on about how it feels more like a classic Nickelodeon cartoon than it does anything that I've ever seen from Disney, but that about sums up that point. No. Wait. I might anyway. There is something in the vein of Hey Arnold!, The Adventures of Pete & Pete, and at times Ren & Stimpy by way of The X-Files going on here. The ongoing plot is kind of engaging with its conspiracies, bizarre villains, and frequently unexplained dialogue and plot points, but if you do keep watching it will probably be because the voice cast is incredible, the script is funny, and the characters are endearing. It's a funny show. It keeps you chuckling. It's a mirth machine. Mostly on account of its good-spiritedness. It's good-spirited. Even when the characters are doing morally questionable things (which is pretty frequent) they've got such wonderful intentions. Well, a lot of the time they do. There are times when they range from 'just misguided' through 'selfish' all the way up to 'pretty much entirely morally bankrupt'. Regardless you will find it easy to invest in their victories and misadventures on account of that endearing nature of the characters that I mentioned earlier. It's good fun. Look, watch this short credits sequence, and you'll understand (on some level) what kind of thing you could be watching if you were watching Gravity Falls. On another level this is just a great clip, and the show is pretty diverse in its comedic approach. Yep, she taped the pig to the goat, and then married them.